The entrance Machu Picchu offers discounts for university students and minors. There is also a benefit for the citizens of some South American countries such as Peru, Colombia, Ecuador and Bolivia. How to access this offer? Learn all about the discounts for the countries of the Andean Community of Nations. In what country is Machu Picchu? What is the normal price of the Machu Picchu entrance? Which South American countries access the Machu Picchu discount? How to access the Machu Picchu discount for the Andean Community? How to make the online purchase of the Machu Picchu entrance for the Andean Community? I am a CAN citizen and also a university student. What discount Machu Picchu corresponds to me? I am a CAN citizen and also a minor. What discount Machu Picchu corresponds to me? Do the citizens of Argentina have a discount in Machu Picchu? Do the citizens of Chile have any offer in Machu Picchu? Do visitors to Brazil have a discount in Machu Picchu? Do foreign residents in Peru, Colombia, Ecuador or Bolivia access the discount? Machu Picchu is located in the Andes Mountains of Cusco in Peru, South America. The entrance that allows entry to the Wonder of the World and its main attractions is the entrance to Machu Picchu Only. Visitors from Peru, Colombia, Ecuador and Bolivia pay the price of the ticket Machu Picchu at a discount. In addition there are special discounts for university students and minors (between 8 and 17 years). Children under 8 years old enter Machu Picchu for free. Check the official prices of the Machu Picchu entrance. Citizens or foreign residents of Peru, Colombia, Ecuador and Bolivia have access to the special discount of the ticket Machu Picchu. Unfortunately, visitors from Argentina, Brazil, Chile, Paraguay, Uruguay and Venezuela are not included in this benefit. The Andean Community of Nations (CAN) was formed in 1969 by countries that are part of the Andes Mountains in South America. Today it is made up of Peru, Colombia, Ecuador and Bolivia. The citizens of the CAN accede to the discount of the entrance Machu Picchu making the purchase of the entrance ticket presenting the passport or identity document that certifies their nationality. The entrance to Machu Picchu with discount for citizens of the CAN can be made by purchasing online or doing it in person in the city of Cusco. On the internet, you can purchase the ticket through the official website of the Ministry of Culture of Peru or through the web portal of a tourism agency. Enter the web page (official or in a tourism agency). Select the type of ticket, the day of visit and the time of entry. Fill the spaces with the personal information of the visitors (names, country, age, document number). Make the payment with a card (Visa, MasterCard). Print the received boletes in the email and show them the day of your visit to Machu Picchu. CAN citizens must send an email with a photo or digital copy of the passport or identity document that verifies their nationality. 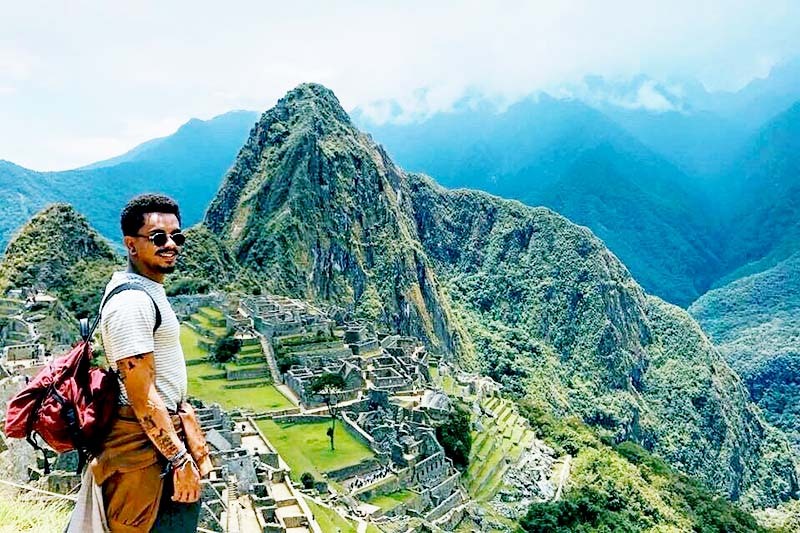 The undergraduate students who have less than twenty-five years of age have access to the discount of ticket Machu Picchu for university students. To do this they must make the purchase of the ticket with the current card. Children and teenagers between 8 and 17 years old have access to the ticket Machu Picchu discount with a special discount. To obtain this benefit you must make the purchase of the ticket with your passport or identity document that certifies the age. They must be accompanied by parents or guardians. 1) I am a citizen of the CAN and, in addition, a university student. What discount Machu Picchu corresponds to me? If, in addition to being a citizen of the Andean Community, the visitor is a university student; the discount increases. To do this you must buy the ticket presenting the current card and the identity document. 2) I am a CAN citizen and, in addition, a minor. What discount Machu Picchu corresponds to me? If in addition to being a citizen of the Andean Community, the tourist is a minor; the discount increases. For this you must acquire the ticket with your passport or identity document that certifies the age and nationality. 3) Do the citizens of Argentina have a discount in Machu Picchu? No. Argentine citizens do not have a discount on the price of the ticket Machu Picchu. They pay their ticket as foreigners. 4) Do the citizens of Chile have any offer in Machu Picchu? No. Chilean citizens do not benefit from the discount of ticket Machu Picchu for the Andean Community of Nations (CAN). 5) Do visitors from Brazil have a discount in Machu Picchu? No. Brazilian citizens are also not included in the discount of ticket Machu Picchu for the Andean Community of Nations (CAN). 6) Do foreign residents in Peru, Colombia, Ecuador or Bolivia access the discount? Yes. Foreign residents who have a residence card in Peru, Colombia, Ecuador or Bolivia; Access the ticket Machu Picchu discount for the Andean Community of Nations (CAN).